The men and women who make up the Mineral County Search and Rescue team are tied together by one common goal - helping people. We often help people who are lost or injured in our mountain terrain. Every once in a while we get the opportunity to save a life. That's what keeps us going. We are available 24 hours a day, 7 days a week, 365 days a year with a fully qualified team of trained personnel to deal with any search or rescue within our scope. We have gone out on a search in the middle of a blizzard on a winter night because we are trained - and because we are needed. Sometimes we even get to respond in nice weather! We have assisted snowmobilers, fire fighters, hikers, hunters, rafters, fishermen, swimmers, 4-wheelers, and lost hunters, elderly and children. We have been on scene for car wrecks, freight truck wrecks, forest fires, train derailments, and hazmat spills. When the public is in need of mountain search and rescue services, MCSAR is there. Mineral County SAR, as a volunteer, non-profit organization, is funded mainly through grants, fund-raising events and donations. The primary use of funds is for technical, communications and transportation equipment, SAR education, training and baseline team expenses. We also have a building fund with the hope of someday having a facility for our team. No members are paid salaries or wages. In addition to its search and rescue activities, the MCSAR regularly participates in a number of community events. Donations are gladly accepted and may be earmarked for specific funding or will be used at the discretion of our Board of Directors. Your donations will save lives. 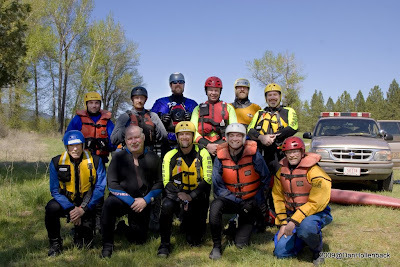 The Mineral County SAR is administered and staffed by volunteers who train and practice search, rescue, medical and survival skills in the rugged yet beautiful Western Montana outdoors. Mineral County Search and Rescue takes pride in offering a vital community service. Search and Rescue Teams in Western Montana DO NOT solicit for funds over the telephone. If you get a phone call asking for a donation, it is not from an active SAR Group in the Western Montana area. If you want to make a donation to the SAR Group in your area, please contact them directly.